Is it possible to create a script in Autohotkey, that will be sending a text puted in an Autohotkey textbox to a textbox from an other program? Is it possible to determine, where should be this text puted in? This is indeed possible, you will need to use a few of the built in commands in AutoHotkey. Gui, Destroy ; If you try to use this hotkey more than once and don't have this line it will complain. Gui, Add, Button, Default gRunBtn, Run ;Adds a button that when clicked  runs the GoSub 'RunBtn'. RunBtn: ;GoSub that clicking the 'Run' button starts. Run, notepad.exe ; Uses the AutoHotkey 'Run' command to start notepad.exe. if errorLevel ; If notepad didn't become active in two seconds this will run the below command. Gui, Submit, nohide ; This line 'submits' the gui so the 'Edit1' variable holds the text you entered in the Edit box earlier. Send %Edit1% ; Uses the AutoHotkey command 'Send' to "Send" the value of the variable 'Edit1' to the active window(notepad in this case). For your case you might need to add a step before you send the value depending on what the default 'control' is on your gui. Thanks a lot for the quick response, lifeweaver! How about sending a text to a textbox, when I have few textboxes in my gui and none of them is active? Is it possible to "decide" (by AHK), where should be this Value puted in? Sounds like you want to use the AutoHotkey command 'ControlSend' this 'lets you send keystrokes to a window or control'. You will need to use the built-in 'Windows Spy' tool to figure out the 'ClassNN' of the control. For example the notepad's text entry area shows up as 'Edit1' when using the Windows Spy tool. This sends the text 'This is a line of text in the notepad window.' to a control 'Edit1' in a window with the title 'Untitled - Notepad'. Note: If you use ControlSend the end window doesn't have to be the 'active' window. WinWait, Untitled - Notepad,,2 ; Waits up to two seconds for the window to exist. It seems to work fine for me (I'll test it more specificaly in a few days) but in Your example this script is only opening a new Notepad window, without puting any value into. Is it because on non english version of Windows maybe? As far as I looked, the Class from the Notepad window is obviously the same, only the Untitled new document has a different name. I have no knowledge of AutoHotkey and how it works with non-English versions of Windows. This uses the 'ahk_class' of the notepad window, in this case 'Notepad', to identify the targeted window, I don't know if the result will be any different, however it's worth a try. To learn more about 'ahk_class' and similar AutoHotkey constructs look here. Thanks a lot lifeweaver for Your huuuuuge help! I have another question - is it possible to check, if notepad is already opened, and when I change the value in the textbox and hit RUN, the values will simply change in the same instance of notepad window (without opening a new notepad window)? Briefly - is there any possibility to check if program is already opened and when yes, just change the values? To check if a window exists use IfWinExist. To answer your second question - use ControlSetText this sets the text of the control so it doesn't matter if it had a value or not. IfWinNotExist, ahk_class Notepad ; Only do the steps in the bracket if notepad doesn't exist. WinWait, Untitled - Notepad,,2 ; Waits upto two seconds for the window to exist. One more problem - I have no clue, how to use ControlSetText by sending a value from one textbox to another textbox using hwnd handle. I would be really greatful for helping me! I really recommend you take a look at a few of the links I've provided to save yourself some time, the line where I had 'AutoHotkey constructs look here.' in an above post has this info. My problem seems to be similar. 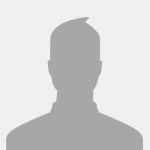 I want to put a person's name into a WordPress text field (for "author"). I can't find in Window Spy any unique identifier of that particular field, and there are many on the WordPress page I'm working with. I can do a ^f for the title of the text box in question, and it's found, but that doesn't allow me to then get inside that textbox to enter the author's name. As if that weren't enough, the "author" text box has a dropdown that will jump to the entry for the first name, but the space in the name makes it get the wrong person. But first, I just want to be able to get to the dropdown containing all the author names. Again, Window Spy shows no change (not even of cursor position!) relating to which text box I'm (manually) clicked into. i entered this is a test! (with the bang) in the test box, but what it sent to the notepad was this is a test (without the bang). I didn't get a response, because maybe my problem isn't similar after all. Am I missing some general command for locating and clicking on a button with specific text (but not a unique color)--and for locating a specific text field to Send my text to, when there are several text fields? Window Spy doesn't shows the same ClassNN for all (Chrome_RenderWidgetHostHWND1). I can't rely on it being done by x-y position on the page, because that varies somewhat for various reasons. P.S. Again, this is for automating entries on a web page under Word Press. I am not familiar with WordPress, but is that not a site that is for personal blogs and the like? Webpages aren't loading up with AHK-accessible elements. Some parts of the browser itself might be accessible, like the searchbox or address field, but not on the webpage itself.